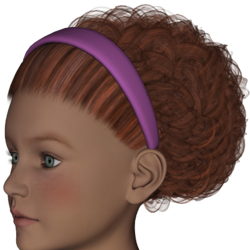 Narcissy Gold Hair for K4 is a pulled-back frizzy hairdo, with a hairband. It was created by menka for Kids 4. This page was last edited on 1 June 2017, at 16:49.